DeVore Ledridge Photos, News, and Videos | Just Jared Jr.
Madison Hu and Olivia Rodrigo stick together on the red carpet with DeVore Ledridge at the 2018 Radio Disney Music Awards held in Los Angeles on Friday (June 22). The three Bizaardvark stars joined Ethan Wacker, plus new cast mates Maxwell Simkins, Elie Samouhi, and Caitlin Reagan at the annual show. FYI: Madison is wearing High Heel Jungle socks. 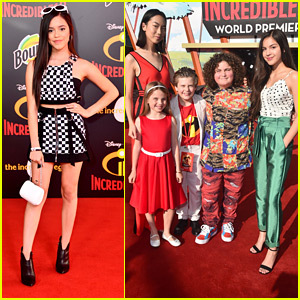 Jenna Ortega put a little retro spin on her red carpet look for the premiere of Incredibles 2 held at El Capitan Theatre on Tuesday night (June 5) in Los Angeles. 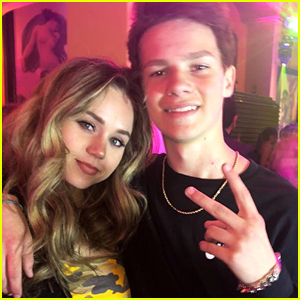 The 15-year-old actress met up with Bizaardvark‘s Olivia Rodrigo, Madison Hu, DeVore Ledridge, Ethan Wacker and newcomers Maxwell Simkins and Elie Samouhi. Modern Family‘s Aubrey Anderson-Emmons was also seen at the event. Incredibles 2 focuses on Elastigirl becoming the face of the Supers, as Mr. Incredible faces his greatest challenge yet — taking care of the problems of his three children. The flick hits theaters on Friday, June 15th. Peyton List poses for a photo with her young co-star Mallory James Mahoney while attending Disney Channel GO! 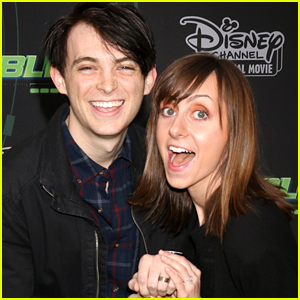 Fan Fest on Saturday afternoon (May 12) at Disneyland Resort in Anaheim, Calif. 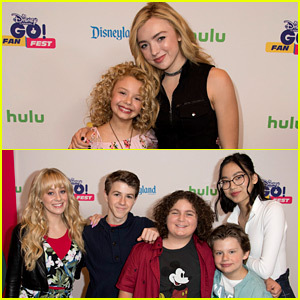 The Bunk’d co-stars participated in a panel with cast members from Bizaardvark – Madison Hu, DeVore Ledridge, Ethan Wacker, Elie Samouhi, and Maxwell Simkins. Peyton and Mallory got to ride a float in a Disneyland parade together that day! Mallory is one of the new cast members on Bunk’d and she plays a young girl who has spent her childhood on the pageant circuit and is accustomed to getting things her way. Season three premieres in June!